« Stone sizzles in Cali!! Ken Stange has fallen, but you can help him get back up. The longtime Coupeville High School tennis coach is recovering from spinal fusion surgery to repair an L1 vertebrae fracture suffered in a nasty fall off a ladder. The good news is doctors tell Stange he can eventually be back on the tennis court, both as a coach and player. The bad news is during much of his recovery, he won’t be able to work. After many years as a teacher, Stange purchased Bailey’s Corner Store in Clinton in 2015. 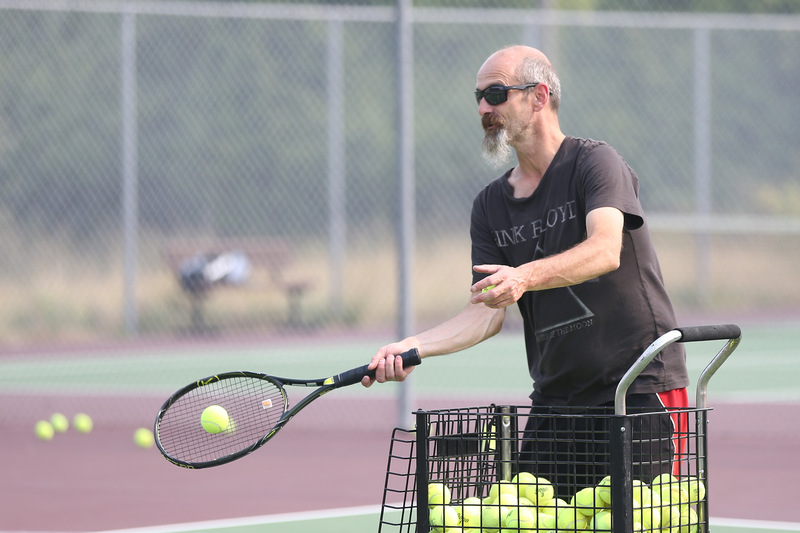 One of Whidbey’s top tennis players, he has taken the lessons learned from his own on-court action and used them to guide the Wolf netters. With 27 seasons in the book (14 years with the CHS boys and headed for year #14 with the girls this spring), he is the second longest-tenured active head coach in Coupeville. Stange trails just Randy King, who put in 20 seasons with Wolf boys basketball and is headed towards a 14th year of running CHS track.